Kokee and Waimea State Parks are two of the premier parks on the island of Kauai. Inside these adjacent state parks exist some of the most stunning trails in all of Hawaii, and the diversity of the trails is unmatched. Using the list below, you should be able to select the trails that interest you most. We have included the trail name, total mileage, time estimate, and a brief description of each listing. In the event we have photographs readily available for a specific hike (or have a third party source we like), we'll also direct you to the appropriate gallery. Additionally, we have more detailed descriptions of some of the major trails (Alakai Swamp Trail, Pihea Trail, Kukui Trail, etc.) in Kokee and Waimea State Park on our Kauai Hiking Trails page. If you're looking for a good map of the area, we've created one (a PDF document) for you to download and print out at home. The Kokee Lodge and Museum will also have maps available, but we definitely advise you to review the map and become familiar with the area. The crisscrossing of trails and 4x4 roads can be confusing at first, but once you select your routes, it's not too bad. Feel free to contact us if you have specific questions. These trails begin on the left side of the road heading up towards Kokee and then head towards the ocean, leading to views of extravagant valleys and cliffs along Kauai's northwestern coastline. We should also note that all of the other Kokee trails start on the right side of the road, or towards the interior of the island. These are not family-friendly trails, but mostly tough trails for the well-equipped hiker. Many unwary hikers lured by the easy 1,000 ft. downhill descent find themselves challenged by the steep climb back up to the trailhead. Don't be one of them! Since these trails head in toward the exterior cliffs of the island, they are usually drier. Difficult trail. Starts at a parking area near the highway 17 mile marker. Rich variety of native dryland plants. The trail ends abruptly on the ridgetop, at 2,500 ft. elevation, affording spectacular cliff-to-ocean views into the Awaawapuhi and Nualolo Valleys overlooking the Pacific Ocean. Picnic/grassy area at the end of the trail. Don't venture beyond the safety railing at the end of the trail because footing is extremely unstable, and the drop to the valley floor is over 2,000 ft. Extremely Difficult trail. One of the best- albeit roughest- hikes on Kauai is the one that leads to Honopu Ridge. While the trail is pretty short- about two miles in total- it is no longer maintained by the park (due to Hurricane Iniki damage way back in 1992), so prepare to bushwack. The main trail can sometimes become vague and you might be misled by several other smaller trails that branch off from the main trail. If you have a map of the trail before you set out you will more than likely be able to stay on the main trail. The good news is that on a good clear day it results in a view that is perhaps Kauai’s greatest. In any event, you may want to consult the rangers at Kokee State Park Visitor Center before heading out on this hike. Moderate trail. Starts near the 3-mile point on the Awaawapuhi Trail and meets the Nualolo Trail between the 3-mile and3.25-milee markers. For the experienced hiker, plan an all-day loop hike down Nualolo Trail, along the Nualolo Cliff Trail, and back up Awaawapuhi, or vice versa. These hikes offer rich scenery into Waimea Canyon, which is ten miles long, 1 mile wide, and 3,600 ft. deep. Mark Twain called it the "Grand Canyon of the Pacific." These trails are drier than the Forest or Swamp Trails, but not as dry as the NaPali Trails seen above. There are easier trails for the beginner and more difficult trails for the experienced hiker. Moderate Trail. Serves as an access to the Canyon Trail. Native hibiscus and iliau are among the plants found in the koa forest. The trail is so named because of the large black wooden pipe that hikers must cross. Moderate Trail. Most popular and scenic trail spurring off the Cliff Trail to follow the north rim of Waimea Canyon. Halfway through, enjoy a picnic at Waipoo Falls. The trail ends at Kumuwela Lookout with its beautiful view that cross-cuts the island through Waimea Canyon, from the mountain to the ocean. Easy Trail. Easy Trail. A short, easy trail leading to an overlook of Waimea Canyon. Feral goats frequent the cliff walls. If you don't have a 4-wheel drive, you will start this hike at the Halemanu trailhead right off Kokee Road. You'll walk down the dirt Halemanu Road for roughly 3/4 of a mile to a parking lot. From here, you can proceed to the Cliff Trail overlook, for a pleasant hour-round-trip stroll. The more ambitious can spur off to the Canyon Trail. Moderate Trail. This trail follows the same path as the Cliff trail, starting along Halemanu Road, and proceeds to the top of Waipoo Falls overlooking Waimea Canyon. Like the Cliff Trail, you'll start at the Halemanu trailhead right off Kokee Road. Walk down the dirt Halemanu Road for roughly 3/4 of a mile to a parking lot. From here, you can proceed to the Cliff Trail Overlook and onward along the Canyon Trail. Total distance from the start of Halemanu Road to the top of the falls is four miles round-trip and will take approximately 2-3 hours. Moderate Trail. Gives a sampling of the mountainous, forested terrain. Vistas of the surrounding forest and the Poomau River are spread out along the trail. Easy trail. First trail on your right halfway up to Kokee, between mile markers 8 and 9. Located at the start of the Kukui Trail, Iliau Loop Trail is a roadside, 15-minute, easy, quarter-mile nature walk with placards identifying plants, including the iliau, which blooms in the late spring to early summer. There are views of the Waimea and Waialae Canyons, and there is a small covered shelter. Moderate trail. From the bottom of Kukui Trail, this trail starts a half mile further up the Waimea River. It takes you on a route along the south side of Koaie Canyon, with good scenery and swimming holes. Do not go during rainy weather due to flash floods. There are two backpack campsites, by permit only at Hipalau and Lonomea. Difficult trail. 4-wheel drive down the Mohihi-Camp 10 Road and the trail starts approximately 2 mi. beyond the Forest Reserve entrance sign. Serves primarily as a hunter access route for pig and goat hunting, but also provides views of Waimea Canyon and dryland koa forest. Do not venture beyond the safety railing at trail end. Moderate Trail. A forest trail used primarily as an access to the Canyon Trail and to the Ditch Trail. Easy trail. 4-wheel drive down the Mohihi-Camp 10 Road and the trail starts approximately 1.5 miles beyond the Forest Reserve entrance sign. This short trail leads to a grand view of the Poomau and Waimea Canyons. Nature lovers should really enjoy the various plant life found in the Kokee rain forest- from redwoods and Japanese sugi cedars planted by the Civilian Conservation Corps in the 1930's to native sweet-smelling maile and mokihana, which are favored as lei making material. If you start out in the early morning, the walks offer glimpses of rare native birds. If you are an avid birdwatcher, make sure to bring the binoculars. These shady trails vary in grade from gentle to moderate, and some lead to fishing and hunting areas. These trails will usually be wet during the winter months when it rains more, so bring rain gear if hiking in that season. The Mohihi-Camp 10 Road is a four-mile long dirt road that provides access to many of the Forest Trails and Alakai Swamp Trails. The road starts 100 yards past Kokee State Park headquarters, on the right side of Kokee Road (Route 552) heading up. A 4-wheel drive is required for passage, and only during dry conditions because of steep and exceedingly slippery and muddy conditions. As always, do not attempt to ford stream crossings during rainy or threatening conditions. Streams can quickly become dangerous torrents in Hawaii just like anywhere else. If caught stranded on one side, wait until the stream subsides instead of risking a crossing. Easy Trail. Interesting, easy nature trail leading through a variety of trees, including the redwood, ohia, lehua, eucalyptus, sugi pine, and koa. N/A Difficulty Ranking. A short trail that accesses other trails in the Halemanu area. Easy Trail. One of the better recreational trails. Easy hiking and a good self-guiding nature trail. The koa and ohia dominate the Halemanu forest. Some of the other plants are the mokihana, maile, pukiawe, the mountain naupaka, halapepe, aalii, ukiuki, as well as the forest's pests- the blackberry and the banana poka. Native forest birds include the iiwi, apapane, elepaio, and amakihi. N/A Difficulty Ranking. A forest trail leading to a plum grove. Easy trail. This is likely the most scenic mountain stream-side trail in Hawaii. 4-wheel drive down the Mohihi-Camp 10 Road and the trail starts .75 mile beyond the Forest Reserve entrance sign, upstream from "Sugi Grove." Well-maintained, easy trail which loops around Kawaikoi Stream. Trout fish during season. Camping allowed. Moderate trail. This trail starts approximately 2 miles beyond the Forest Reserve entrance sign on the Mohihi-Camp 10 Road. It serves primarily as a hunter access route for pig and goat hunting but also provides views of Waimea Canyon and dryland koa forest. Extremely Easy Trail. A conveniently-located, short trail behind Kokee Museum, with 35 marked plants. N/A Difficulty Ranking. Along this trail you'll see good examples of the impact that invasive alien weeds can have on native forest vegetation. N/A Difficulty Ranking. A very short trail serving as an access to the other trails of the Halemanu forest. They should give this poor trail a name! N/A Difficulty Ranking. This trail provides a good example of native koa and ohia forest. Alakai Swamp trails are the wettest in Kokee and thigh-deep mud is not uncommon here. It can slow a hiker's pace to one mile per hour through the swamp. Wear old tightly-laced sneakers that you don't mind getting muddy. The Alakai gray mud is difficult to wash off, so be prepared to trash your clothing and shoes, and wear your badge of courage on your skin until your next good bath. The major eruptions that formed Kauai six million years ago created a huge caldera thirteen miles in diameter. The Alakai Swamp sits on the old caldera floor- layers of dense lava- thirty miles square, which receives hundreds of inches of rain annually. Few foreign plants invaded this weird world, where a wealth of native plants abound, specially adapted to swampy conditions. The swamp's elevation at 4,000 ft. protects native birds from disease-spreading mosquitoes, so this is an ideal place for birdwatching. Fortunately, attempts to build a road through the swamp in the 1950's failed, leaving a wide scar along the first mile of the Pihea Trail along the rim beyond Puu o Kila Lookout. Difficult trail. Trail starts at a parking and turnaround area .25 miles north of the NaPali-Kona Forest Reserve entrance sign. This trail leads across the Alakai Swamp through scrub native rain forest and bogs. Excellent opportunities for birding and botanizing. Ends at a vista called "Kilohana" on the edge of Wainiha Pali. On a rare, clear day, the views of Wainiha and Hanalei Valleys provide an unforgettable experience. A once-in-a-lifetime, tough, muddy, surreal hike. Fog rolls in and you'll lose your direction and mind. Difficult trail. Serves mostly as a hunter access route. 4-wheel drive down the Mohihi-Camp 10 Road, and the trail starts at the end. Crosses Mohihi Stream and follows Kohua Ridge into the "Alakai Wilderness Preserve." The occasionally maintained trail ends at Koaie Stream. The rivers get dangerously high during rainy weather. Camping is allowed by permit only at Koaie Stream gauge. Moderate trail. Trail starts at the end of Kokee Road (Route 552) at Puu o Kila Lookout (Second Kalalau Lookout). Highly recommended forest reserve trail for observing native forest birds and Alakai Swamp terrain and vegetation. Also, alternate route to Alakai Swamp Trail, which intersects Pihea Trail just before the 1.75-mile point. A short spur ends at the Pihea Overlook, the highest rim point of Kalalau Valley. Do not venture beyond the Pihea Overlook because the terrain gets very steep. The Pihea trail follows the northwestern bank of Kawaikoi Stream and ends at Kawaikoi Camp. While there is some boardwalk construction, portions of the trail are slippery and muddy. For the less hardy, the first mile along the rim of the spectacular Kalalau Valley is an easy walk, then you can head back to the lookout when you start to get hungry. Hiking in Kauai is an epic experience; but doing so with a seasoned local guide is simply an unmatched experience, as they know the ins-and-outs of the sights, flora and fauna, history and legends, and practically everything else you’ll love to learn about the Garden Isle’s hiking trails. 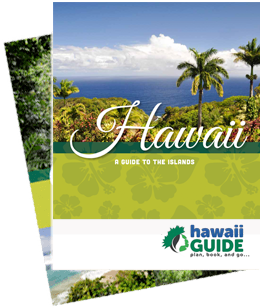 We recommend these professional and highly-rated guides and have either used them personally or our team of Hawaii travel experts has selected them just for you. Book your Kauai Hiking Tour with confidence and get ready to make some memories!